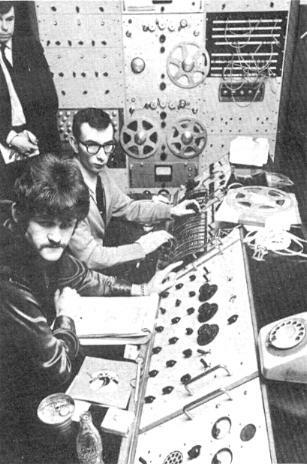 Denny Cordell, producer, guru, early Procol supporter and occasionally underhanded ne'er-do-well, sits [left] at the controls in a recording studio during the late 1960s. Though debate still rages over the production values of his work, especially on the first Procol LP, there is a warmth and proximity that somehow coalesces that first edgy masterpiece into an approximation of a 32-track daydream. I, for one, have always loved that first production, for it is the one where the grand master himself, Maff, is up front, unchained and glorified as on no other album to date. As Paul Williams said ... "and I have derived no end of pleasure from imagining I was listening to it, as I walk down various streets." 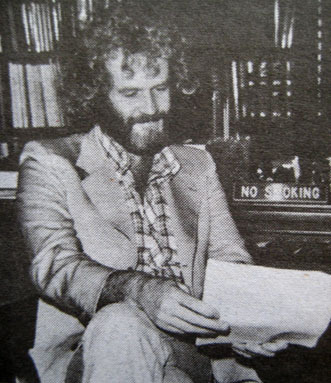 ... All those timeless moments ago, in the then, and in the very much now."